So there are plenty of days that I remember quite clearly. Like the day the Challenger blew up, I was sitting in a third-grade classroom, huddled around a television with about thirty or so other students. Pretty much all because Christa McCauliffe (the teacher on the shuttle) was from New Hampshire (and I was in school in New Hampshire). I remember where I was on 9/11. I’d just woken up in my dorm and I was heading outside for a cigarette, when my RA stopped me in the hall to tell me someone had just flown a plane into the World Trade Center. And I’ll remember where I was when I found out that Seirei no Moribito was picked up from Media Blasters. Okay so it isn’t as dramatic as the other two, but it’s still a bit of a shock. And adding to that, Media Blasters announcement makes this the first show to be salvaged from the shipwreck that was Geneon. Now if you’re like me, you probably had to scratch your head at that one. Wait? Seirei no Moribito? First? Don’t get me wrong, SnM is a great show. And I will buy it when it comes out. But of all of the shows stuck in limbo, this is not the one I expected to get saved. For some reason, I get the feeling that SnM was the store brand, sitting next to the top shelf items like Black Lagoon 2nd Season or Hellsing Ultimate. Not to mention the laundry list of older titles that haven’t (and probably shouldn’t) be picked up: Trigun, Hellsing, Lain, hell even X (TV). But as bizarre and surreal as it is, I’m still dancing around on this one. So for all you SnM fans out there, it’s time to celebrate. Sometimes being second tier does mean you come in first. ‘Tis very good news. Hopefully it’ll do well, or at least break even. 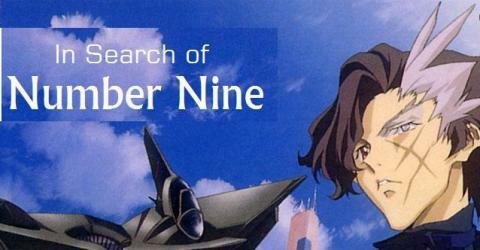 It strikes me as (a bit like Last Exile) something low on some of anime’s more quirky features (like fanservice). I remember when the Challenger exploded, I was in first grade and we were also watching in school because of the teacher on the Shuttle. I remember feeling a profound sense of wrongness which I didn’t feel again till watching 9/11 unfold on the tv.
. . . and lo, a new (?) fetish was born. Oh I will love my manegg. I will hug him and squeeze him and name him Chagum… okay that is wrong on far too many levels for me to continue. I’m going to go hang my head in shame.